There comes a point in a climbers life where she or he no longer wants to loan a friends quick-draws. 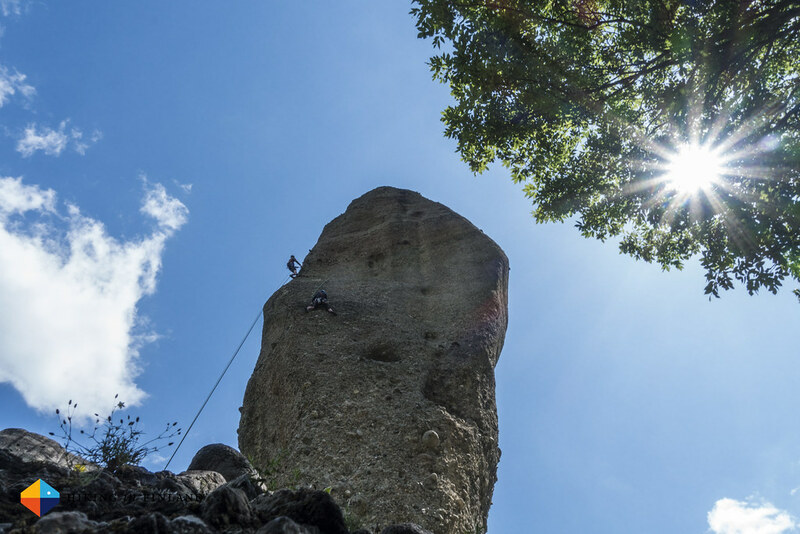 What kind of ‘draws they want often depends on their preferred style of climbing: Do they like to sports climb, climb indoors at the gym, go to the mountains or even climb ice in winter? I settled for the DMM Alpha Light QuickDraw - why you will find out in my review. Disclaimer: The DMM Alpha Light Quickdraws and DMM Alpha Trad QDs have been provided by Bergfreunde for review. But as you know: I’m keepin’ it real and tell you how it is - I maintain full editorial control of the content published on Hiking in Finland. Read the Transparency Disclaimer for more information on affiliate links & blogger transparency. 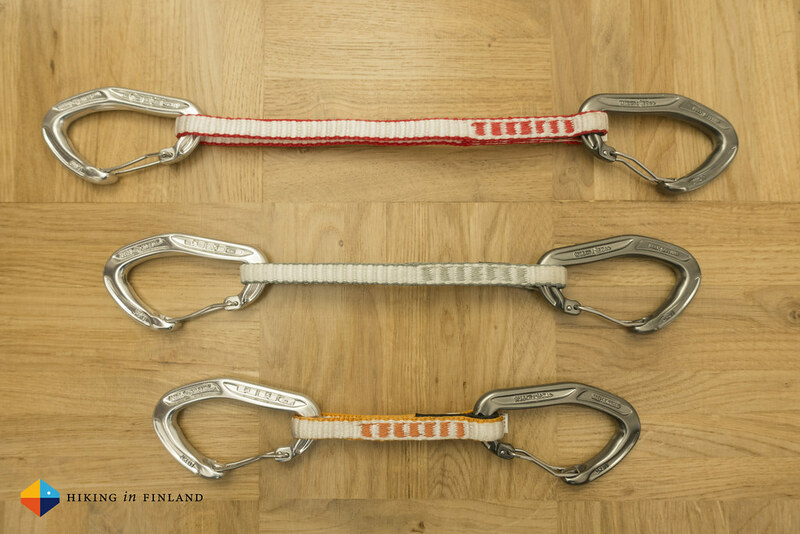 Already a couple of years ago two Trad Sets of DMM Alpha Light QDs and one set of DMM Alpha Trad QDs arrived at Hiking in Finland HQ and since then have been used mountaineering in the Alps, rock and trad climbing in Greece & Norway, ice climbing in Finland and I also have clipped some gym routes with them. 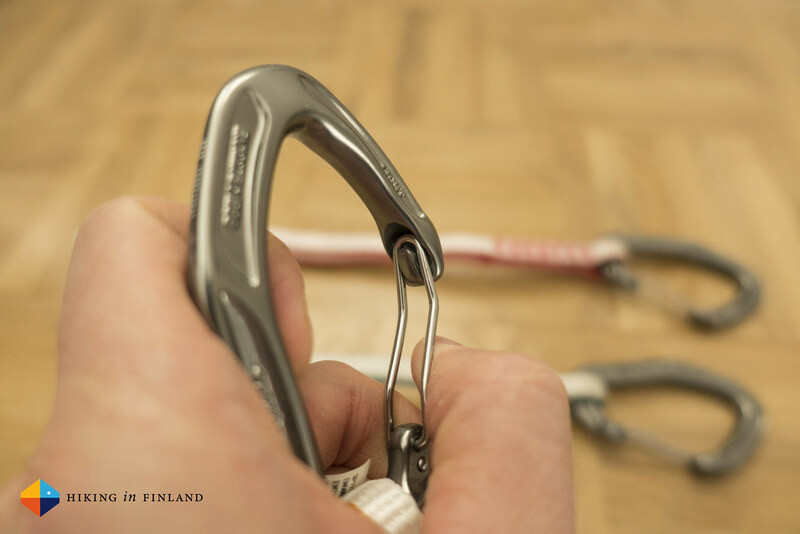 The reason I went for the DMM Quickdraws - also the Ange Finesse QD from Petzl was being considered - was that they were for me the best all-round solution which works well in all the arts of climbing which I like to practice, and they were the lightest ones, too. The Alpha Light Quickdraws are made up of a full-size carabiner and a Dyneema sling and weigh 65 g for the 12 cm ‘draw, 68 g for the 18 cm length quickdraw and only 71 g for the 25 cm long QD. This light weight is achieved thanks to DMM’s I-beam construction, which is very durable with high breaking loads but at the same time allows to shave weight. Once you add that shaved weight up to a full set of QDs which can be anywhere between 8 and 15 draws you can easily safe some 100 g or more. 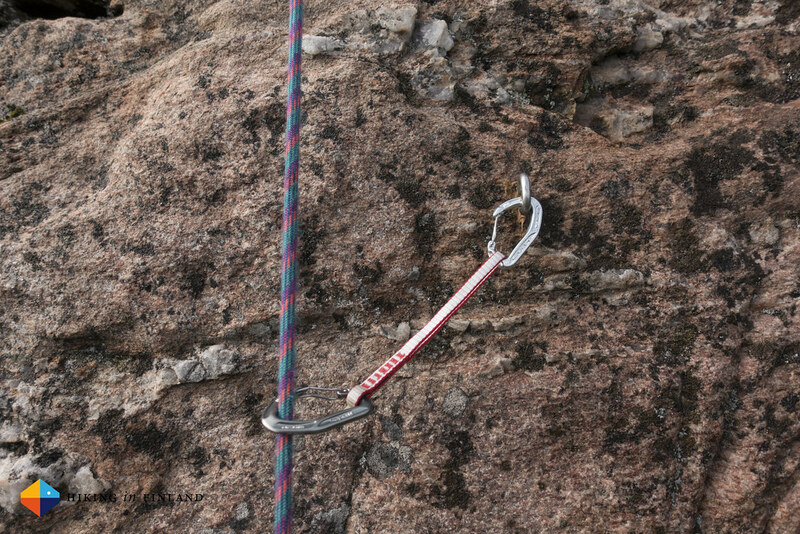 This might seem like not a lot, but remember: When you’re climbing up you have to carry all the weight up, and the lighter the gear on your harness the easier the climbing is. So besides being the lightest draws available it also is important that they’re easy to use. As the Alpha Light and the Alpha Trad are full-size Quickdraws they lie very good in the hand and are easy to clip - on both ends. The large gate opening makes for easy clipping to the bolt, ice screw, cam or nut, and likewise makes clipping the rope very easy - also with gloves on in winter. 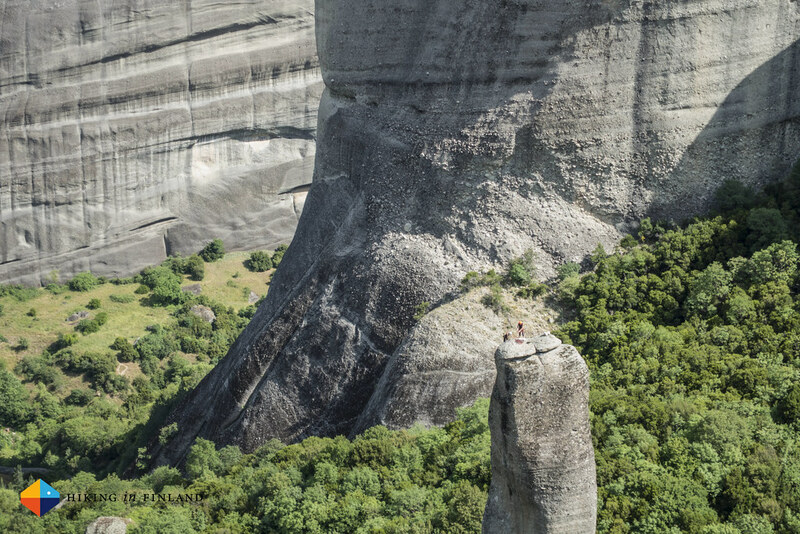 The grooved pattern at the back of the draw makes them easy to handle, no matter if you’re climbing in warm Greek temperatures or at Korouoma in Finland in winter. The wire-gate construction is less likely to accidentally open and the clean nose profile again makes for easier clipping with less snagging. Finally, the deep rope basket with a 8,5 mm rope radius treats your rope well and lets it run through the draw smoothly. The final reason for me to get the DMM ‘draws was that they are Made in Wales, which I find in times of globalisation a nice thing to do. 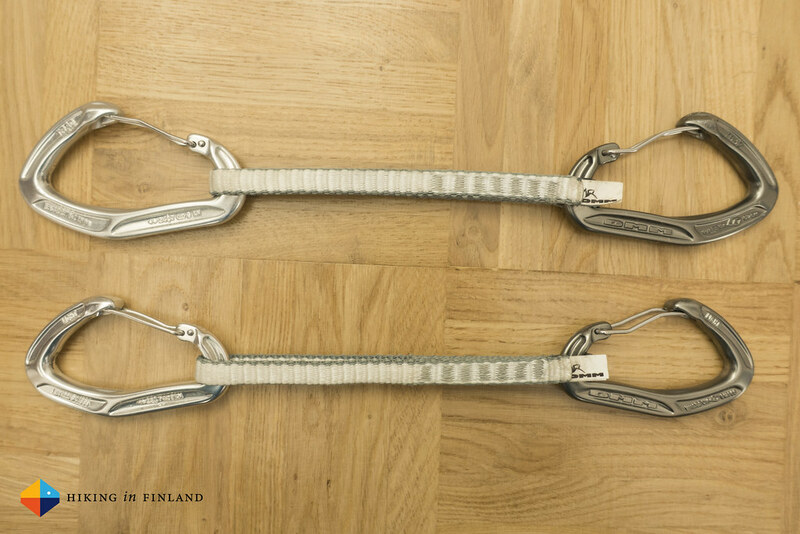 The Bottomline is that I have used these two different draws - and the differences are minimal, with the Alpha Light being slightly lighter and the Alpha Trad being minimally bigger - ice climbing in Finland, rock climbing in Meteora, Greece and Norway, mountaineering in the Alps and always was very happy with their performance. 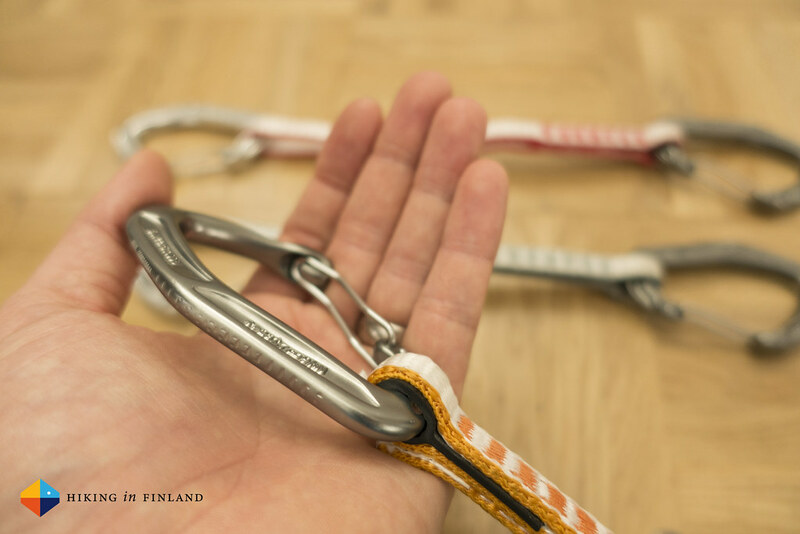 The different lengths in the Sets make them especially for trad climbing and mountaineering very versatile, while the light weight and normal carabiner size make them for sports climbing a very good choice. 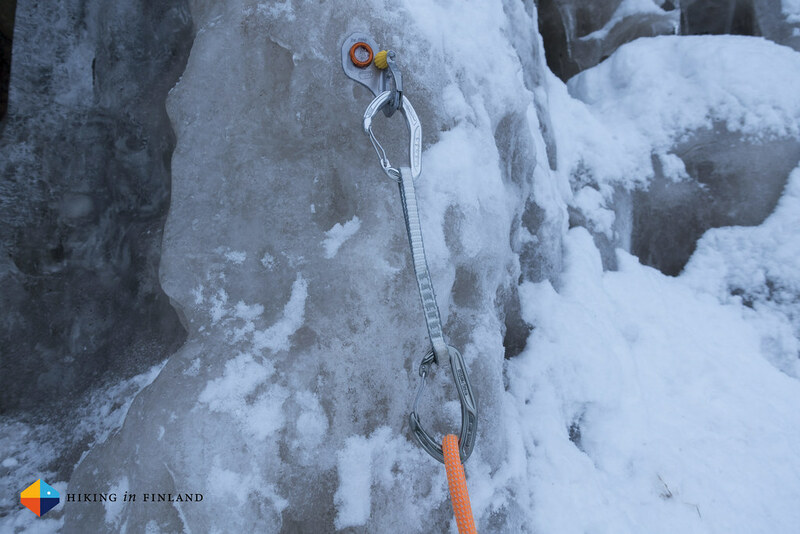 If you climb only hard sports routes you’re probably better off with a sports climbing specific ‘draw which you can easier grab by the sling, but for all-around use on rock, ice and in the mountains I can not imagine a better quick-draw. 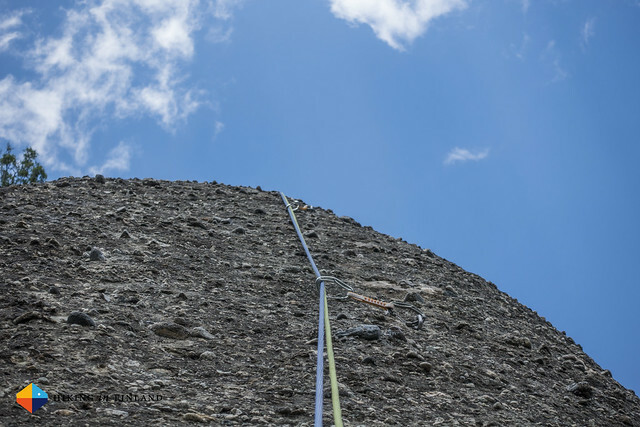 If you like to keep your climbing varied and want the lightest full-size quickdraw on the market, look no further than these fine ‘draws from DMM! Readers from the UK can order the DMM Alpha Light QD Trad Set and the DMM Alpha Trad Trad Set from Alpinetrek.co.uk while readers from the USA find the DMM Alpha Trad Set from Backcountry.com.